Send Love. Make Greeting Cards. Welcome to Let's Make Greeting Cards! Lovingly-handmade cards always go the extra mile of telling anyone how special she is. Imagine getting a unique personalized card knowing that no one else in the world has anything like it and that the sender made it especially for you.. *sigh* Warms the heart in a beat. Another reason? It's a lot of fun! Once you get the hang of it, and I promise you will, making cards unleashes your creativity and every crafting time becomes such a rewarding experience. Whether you just want to make a card or two for a special someone or you would like to make this a long-term hobby or maybe even a business, you'll definitely love and enjoy every time you spend to make your own greeting cards. 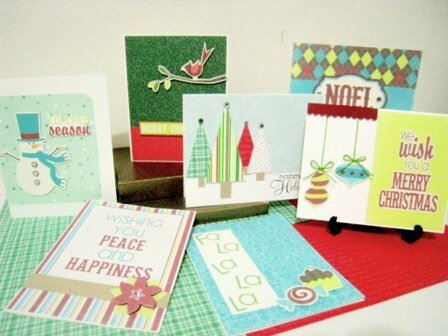 With a bit of patience and inspiration, you'll be making greeting card masterpieces in no time! Anyone can make beautiful greeting cards. The only difference between those who make them and those who don't is inspiration. And that's just perfect because that's exactly why we're here! We're aiming - or maybe "hoping" is a better word - to inspire. 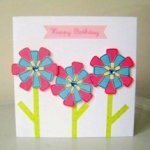 This site is full of handmade card ideas, card making tutorials, card making techniques, greeting card templates and so much more! We'll be adding more card making tutorials and hand made card ideas from time to time so please don’t forget to subscribe to our free newsletter so we can immediately let you in on what’s new! A FREE newsletter to inform you of more FREEBIES - can’t get any better than that! Got some homemade card ideas you'd like to share? We’d all love to see! Click here to share your homemade card ideas! It's a great thing to do to inspire another greeting card maker like you. So what are we waiting for? Let’s make greeting cards! 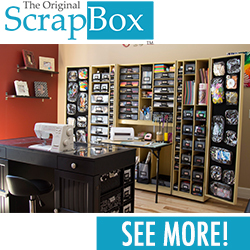 Start here for your list of paper craft supplies and tools or you can browse through the contents below or the navigation tabs on the left sidebar for a whole lot of inspiration and handmade card ideas. What's New Here at LMGC? Latest card ideas, tutorials and freebies! The LMGC Design Team: Meet the talented ladies behind Let's Make Greeting Cards! 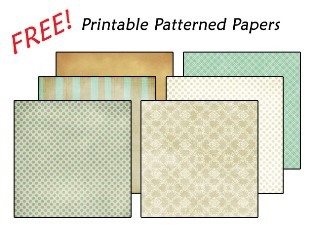 FREE Digital Scrapbook Paper Pack for Your Handmade Cards! Subscribe to Let's Make Greeting Cards Free Newsletter and be updated on our latest card ideas, tutorials and freebies! Share your handmade card ideas here! Inspire and be inspired! Make Your Own Greeting Cards! FREE Ideas for Homemade Cards! Make your own greeting cards! Get inspired with our gallery full of ideas for homemade cards! Your list of paper craft supplies must-haves and nice-to-haves. Download and print a gorgeous photo Christmas card for the holidays! Lots of gorgeous and fun designs to choose from so you can download and print at home! FREE Great Ideas for Making Birthday Cards for Family and Friends! FREE Christmas card ideas that are guaranteed fun and easy to make! FREE ideas for Fathers Day Cards to make for friends and family who are lucky enough to have someone call them "Dad". Halloween Greeting Cards. Make One Today! Learn how to create Halloween greeting cards with our FREE Halloween card ideas! Free tutorials and photos to guide you all the way! Easy and unique ideas for Mothers Day Cards. Make a card with our free card ideas and printable cards for Mothers Day ! Top Valentine Greeting Cards Ideas! Make homemade Valentine cards today! Get inspired with these ideas for gorgeous Valentine greeting cards and start making homemade Valentine cards today! Discover how to make wedding anniversary cards for friends and family! Free tutorials, tips and techniques and lots of photos to help you on your way! Make Your Own Cards. Learn how with our FREE online tutorials! Make your own cards with our FREE card ideas and tutorials! 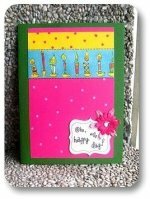 Learn how to make greeting cards today and make every occasion more special! Your source for awesome and FREE printable birthday cards online! Online Printable Christmas Cards. FREE Printable Christmas Cards for Download. FREE Online Printable Christmas Cards that you can download and print at home! Free Printable Christmas Labels for Your Christmas Crafts! Download FREE awesome printable Fathers Day cards here! Download our gorgeous FREE printable Mothers Day cards! Let your mom know how special she is by giving her a unique mothers day card. Best Printable Valentine Cards online! Download our beautiful FREE printable valentines day cards that are perfect for expressing your love. BEST tutorial on how to make fabric flowers. Learn how to make flowers today! Make Paper Flowers. Learn How to Make Paper Flowers for FREE! Make paper flowers with our graphic tutorials. Learn how to make paper flowers today! Sitemap for Let's Make Greeting Cards for a hassle-free visit! A few stuff about me and why I feel very blessed. Please contact me through the form below. Your email address will be kept private and will only be used for my reply. Thanks for visiting! Would you like to share your knowledge about make greeting cards? Great, find out how you can submit your story or tip here.